Oh to sleep! Oh to nap! Oh to be restless and unable to fall asleep! In his book The Slumbering Masses Matthew J. Wolf-Meyer, anthropologist of medicine and science, explores sleep in all its facets - from sleep medicine to the rise of solitary sleepers, from workplace naps to sleepwalking murders. How could I, a big fan of taking an afternoon nap, resist such a promising read? Sleep doesn't come easy and I was amazed at the diversity and complexity of sleep disorders, as well as intrigued by the social formations of sleep. What is healthy sleep? What is disordered sleep? Even though in condensed form, it certainly shows that several years of extensive research went into this book. And amidst the historical and clinical data, there are also lots of interesting facts to be found. While fascinating, unfortunately I also found the book a bit slow going in places, and admittedly I had to struggle through some parts. While I wouldn't go so far as to say this book isn't for the general public, I found the execution a tad too scholastic for my taste. This is the kind of book which you'd expect on your college reading list; it might not be accessible to anyone, but is definitely worth a read for those genuinely interested in a serious and deep discussion of the topic. In short: An extensive survey on everything you ever wanted to know about sleep! Thank you for the review. 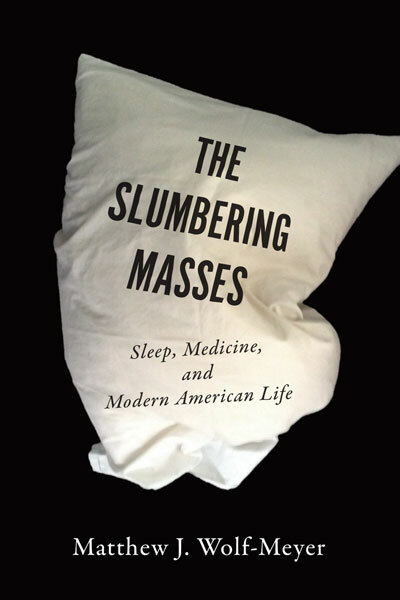 I have read a number of books on sleep and am looking forward to this one.